(SKNIS): Media representatives and members of national bureaus of standards in CARIFORUM member countries participated in a close-out regional press conference on Thursday, March 23, which was geared at highlighting the numerous successes of the 10th European Development Fund (EDF) Technical Barriers of Trade (TBT) Programme. The overall objective of the 10th EDF Programme was to support the beneficial integration of the CARIFORUM states into the world economy, to support regional cooperation and the development efforts of the Caribbean, in an effort to meet the requirements under the current Economic Partnership Agreement (EPA) between the European Union (EU) and CARIFORUM. It is expected to facilitate intra- and inter-regional trade as well as international competitiveness and sustainable production of goods and services within the CARIFORUM states for the enhancement of social and economic development. Hiram Williams, Director (Ag.) 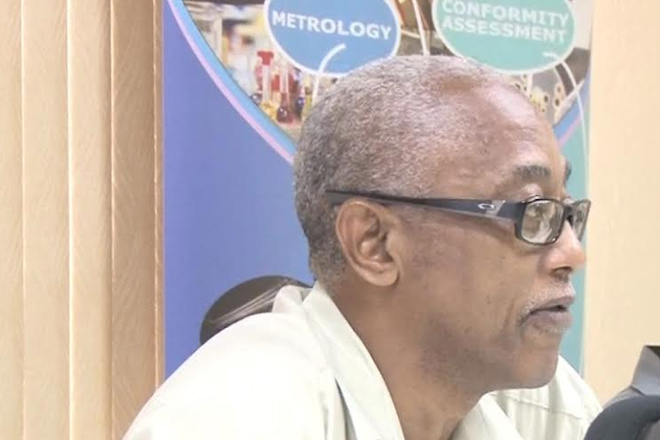 of the St. Kitts and Nevis Bureau of Standards (SKNBS), expressed gratitude for the federation being a part of the programme, noting that great benefits were achieved. He said that establishing the NSS now puts the SKNBS in a position to not only implement, but to maintain it for a significant period of time. Karlene Russel, Project Coordinator, underscored the importance of the programme and noted that to date a great deal has been achieved since its introduction in 2012. She stated that the main elements of the TBT Programme included capacity building in all areas of QI. The programme also looked at international recognition of national and regional Qis, as well as regional harmonization as it relates to standard development and a promotion of a quality culture in the region. The programme, which was funded through a financial agreement between the EU and CARIFORUM, was implemented by the CARICOM Regional Organization for Standards and Quality (CROSQ) and the Dominican Institute for Quality (INDOCAL) in the Dominican Republic and managed by the German Metrology Institute (PTB). The forum, which was done via video conference, saw participants from a number of countries including Antigua and Barbuda, the Bahamas, Barbados, Belize, Germany, Grenada, Guyana, Monserrat, St. Kitts and Nevis, St. Vincent and the Grenadines and Suriname.